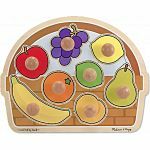 Pop out the pieces and assemble the 3D wooden puzzle. 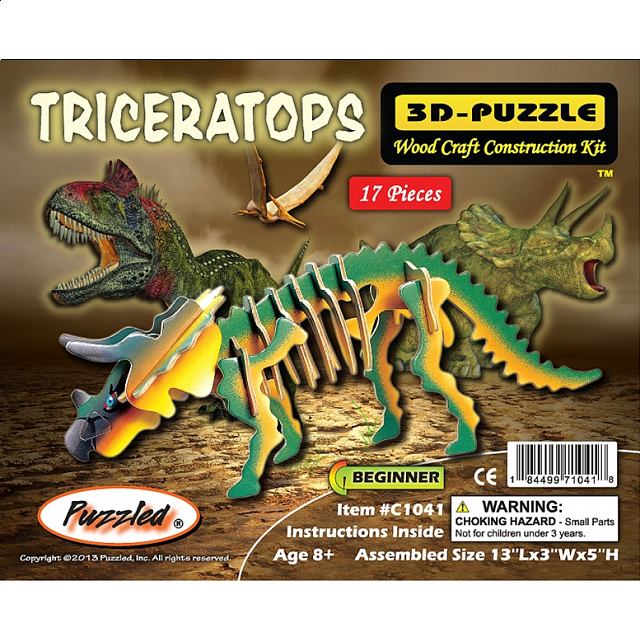 The Triceratops 3D wooden puzzle is a challenging and creative toy made of high grade 3mm natural wood and comes in a shrink-wrapped package with instructions and sandpaper included. This fine dinosaur is part of our prehistoric animal collection; just match the numbers together 1 with 1, 2 with 2 and so on. After assembly you can paint, play, display or disassemble and enjoy the challenge of building again. 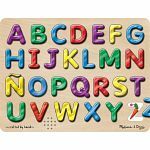 Our 3D puzzle collection is a great educational tool and hobby for you and your family. Simply pop out the pieces and go. Start your collection today! People who purchased Triceratops - Illuminated 3D Wooden Puzzle also purchased the following puzzles.